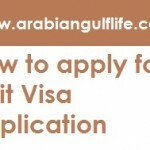 Check and Query الاستعلام عن تأشيرة خروج وعودة about your exit re entry evisa validity status on eserve.com.sa with your iqama no, passport number or Visa number, Visa expiry date, date of birth and iqama expiry date. With the help of Muqeem مقیم and ELM the service is developed to ensure smooth process of Exit Re Entry also helps users to get query of their visa validity just by entering some simple information. 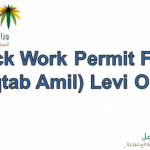 This service only for Exit and Re Entry visa الاستعلام عن تأشيرة خروج وعودة. 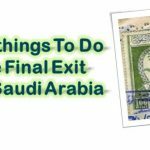 This visa is issued if a person want to exit Saudi arabia and than come back again within validity of Exit Re-Entry visa. To check Exit Re Entry visa Visit https://www.eserve.com.sa/VVSWeb/. First Visit the official website for checking of Exit Re-Entry Validity https://www.eserve.com.sa/VVSWeb/ . On first you have to chose from iqama no, passport number or Visa number. If Nationality menu is not working you don’t have to do anything just go forward. Complete the code written in image. 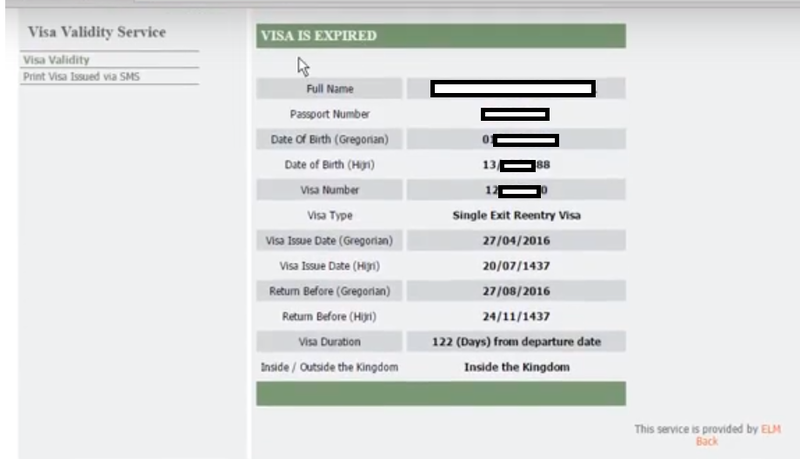 At last click on View Button to show your Exit Re Entry Visa Validity and other details. Take the print and keep it with yourself but it is not necessary now to keep the print with yourself as all process is now online. But must keep it for your own safety.